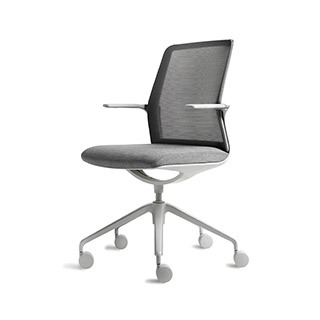 Seat Height 17.75" - 22.75" Seat Depth 17"
Back Height 18" Back Width 17.25"
Arm Height 6.75" Overall Arm Width 24"
Maximum Overall Height 36" - 41"
F4 represents an evolution in user-responsive seating. Pairing thoughtful material selection and component design, F4 is able to comfortably and effortlessly move with its user. Supports an overall broad range of seated gestures without the need to make excessive manual adjustments. F4 sports a reactive seat support system, enhancing both comfort and reducing user fatigue as well. As an integrated tilt mechanism, it moves in harmony with the body’s natural axis of hip rotation. These features, combined with its many other functional attributes, subsequently results in outstandingly comfortable movement and superb gestural support. 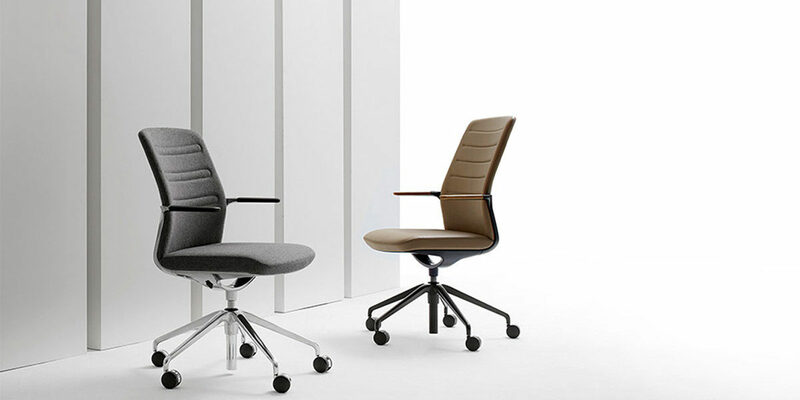 The chair has a unique torsion-spring mechanism, totally concealed within the frame. The geometry of the chair, in combination with the springs, provides comfortable support for a broad range of users without adjustment. Backs can be mesh or upholstered in one of three different styles. 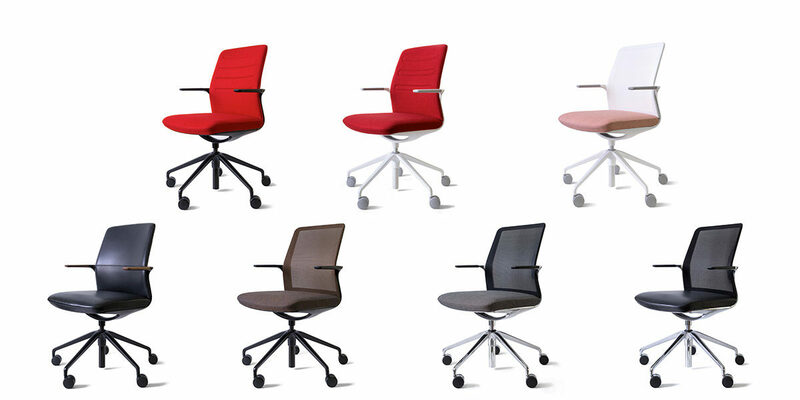 Knit seats are an option to match the full range of mesh colors. Frames are available in either polished aluminum or one of 20 powder coat finishes.